At Lakeside Daytona Dentist, we believe in providing our patients with state-of-the-art technology, high-quality materials, and the latest innovative techniques that the dental field has to offer. Dr. Silva is dedicated to ensuring superior and long-lasting results, and our team will always strive to exceed your expectations here in Daytona Beach, FL. If you have any questions or concerns about what you can expect when visiting our practice, please contact us today. If a fear of needles or the discomfort associated with their injections prevents you from undergoing much-needed dental care, our team would love to introduce you to a new technique that’s truly pain-free: DentalVibe. We use DentalVibe when delivering anesthesia to elevate patient comfort and alleviate frazzled nerves in the treatment chair. Do you suffer from anxiety, fear, or outright phobia when faced with an impending appointment at the dentist’s office? At Lakeside Daytona Dentist, your comfort always comes first. 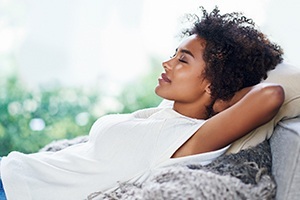 Dr. Silva offers several sedation techniques that can help you maintain a genuinely relaxed state throughout treatment. Intraoral cameras are an excellent diagnostic tool that gives both our team and our patients a much closer look at their smiles. We’ll insert a camera-tipped wand into the mouth so that it can begin transmitting images to our computer system and a TV monitor in the operatory. Your teeth and gums will be on the big screen, where you can see exactly what Dr. Silva is seeing. Our explanations of any problems we’re seeing can be explained much more clearly with this visual aid, as well as what certain treatment options could accomplish for your oral health and happiness. There is a lot of valuable information about your smile that is well-hidden underneath its surface. 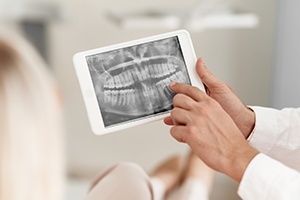 In order to form a comprehensive understanding of your current needs, our team utilizes digital radiography. 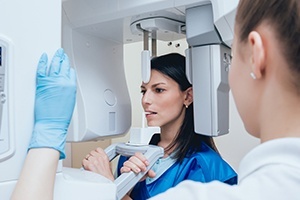 This modern technique offers several valuable benefits when compared to traditional film X-rays. For instance, there’s no need for a darkroom – images are available for viewing in seconds instead of hours. The amount of radiation you’ll be exposed to during the process is also dramatically reduced, making it much safer as well. With the help of our state-of-the-art cone beam scanner, ensuring success for our patients’ treatment plans is easier than ever before. 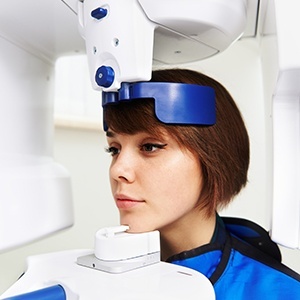 This technology will capture comprehensive imaging of your smile and all of the related facial structures so that no detail is left unaccounted for during our planning process.